Today, more than 2.3 million people are confined to a prison or correctional facility in the United States. Mass incarceration, and its direct impact on people, families, and communities, is a growing and widespread problem in the United States. What’s more, recidivism rates—the rate of people returning to prison—are higher in Minnesota than most states across the country. The system isn’t working, and its disproportionately impacting people of color. At Better Futures Minnesota, we are dedicated to transforming the lives of men who have faced incarceration, giving them the supports they need when they leave prison to become self-sufficient and healthy members of the community. Through our work, we seek to keep men out of prison and in the community where, through hard work and dedication, they are rebuilding their lives and supporting themselves and their families. This week, the National Reentry Resource Center and numerous partners launched the Face to Face initiative, a national call to action encouraging policymakers to personally engage with the people who are closest to the correctional system. Our door is always open, and we would love to share our story with you! We invite local policymakers, elected officials, candidates for office, advocates, and anyone interested in our unique, integrated-care model to visit Better Futures Minnesota during the Face to Face initiative this week (and beyond! ), and check out our ReUse Warehouse, where many of the men we serve are employed and dedicated every day to walking on their own path to success. The data shows that by giving the men the immediate supports they need, including trauma-informed care, men with difficult pasts can become productive members of our communities. But we know the numbers don’t tell the whole story. It’s the men whose own personal transformation is so important, and something we see every day at Better Futures Minnesota. Through an evidence-based integrated-care model, we can reaffirm each man’s dignity and instill the self-discipline and behaviors that are a prerequisite to self-sufficiency. 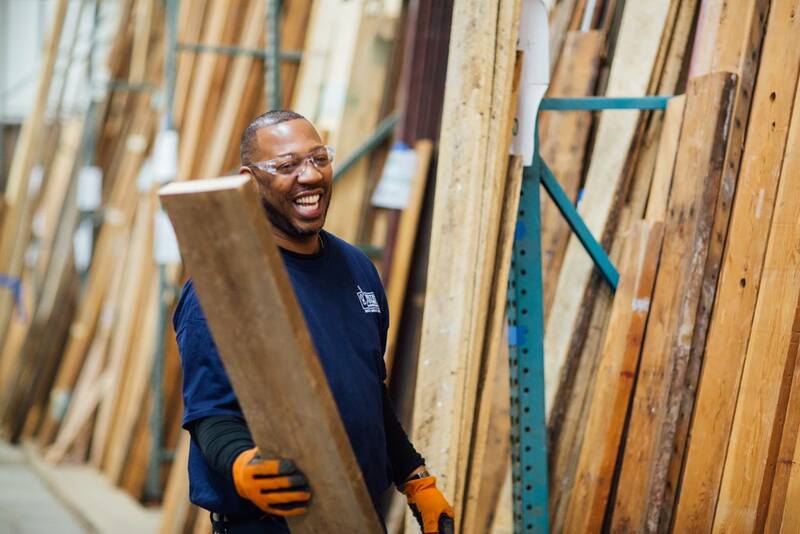 By building Better Futures Minnesota into a work-training program and a profit-generating employer—through our reuse warehouse and supervised work crews—we can also demonstrate creative ways to place hard-to-employ men on a pathway to independence. We are proud to walk alongside these men on their path to success! Visit us or check out our website to learn more about how our unique social enterprise is making an impact on the lives of men, the community, and the Minnesota environment every day.